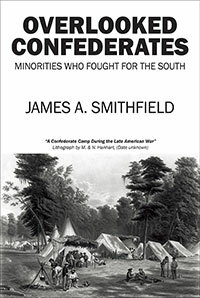 James A. Smithfield’s “Overlooked Confederates: Minorities who fought for the South.” Confederate armies were not only White, Protestant, Anglo-Saxon Johnny Reb’s but also other races and creeds. You are invited to meet some fascinating people and be amazed at the many people groups fighting in the Confederate army during the Civil War. Previous Previous post: Self-Publishing Author Spotlight: Bernard J. Nebel, Ph.D.